Royal Army Dental Corps TRF patch. ..
British Army. Guards Division TRF patch. ..
PWRR [Princess of Wales Royal Regiment] TRF patch. 'Tiger' & Beret patch also available. 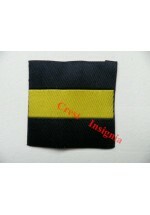 ..
1403 PWRR beret badge backing. PWRR [Princess of Wales Royal Regiment] beret badge backing ribbon. 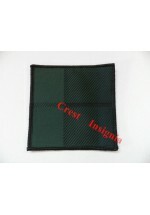 ..
1403s PWRR Beret Patch Badge, subdued. PWRR [Princess of Wales Royal Regiment] subdued beret badge. ..
PWRR [Princess of Wales Royal Regiment] Tiger [Garfield] patch. ..
1405c Royal Regiment of Scotland, TRF. Colour. Royal Regiment of Scotland TRF patch. Colour. Subdued version [code 1405s] and 'TAM' backing [cod..
1405s Royal Regiment of Scotland TRF. Subdued. Royal Regiment of Scotland TRF patch. Subdued. Colour version [code 1405c] and 'TAM' badge backin..
1405tam Royal Regt. of Scotland, 'TAM' tartan badge backing. 'TAM' badge backing for the Royal Regiment of Scotland ..
Royal Welsh. HQ personnel TRF patch. ..
Royal Welsh TRF patch. ..
1410 Royal Irish [Shamrock] TRF patch. 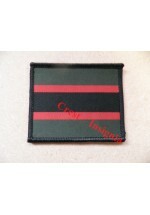 Royal Irish Regiment TRF patch. Generic Shamrock version, worn by Royal Irish troops not attached t..
1411 Yorkshire Regiment. TRF patch. Yorkshire Regiment TRF patch. 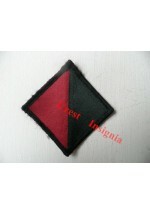 ..
1412 Royal Army Vetinary Corps, TRF patch. Royal Army Vetinary Corps. TRF patch. ..
1413a RAVC Search Dog handler badge. RAVC Search dog handlers badge. Velcro backed. .. The Rifles Regiment. TRF patch. ..
1416 Duke of Lancasters Regiment. TRF patch. The Duke of Lancasters Regiment TRF patch. .. The Mercian Regiment TRF patch. 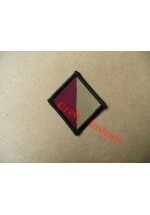 ..
1st Battalion, The Mercian Regiment [Cheshires] TRF patch. ..
1417b 2nd Btn. Mercian Regiment [Worcesters & Sherwood foresters] TRF patch. 2nd Battalion The Mercian Regiment [Worcester & Sherwood Foresters] TRF patch. ..